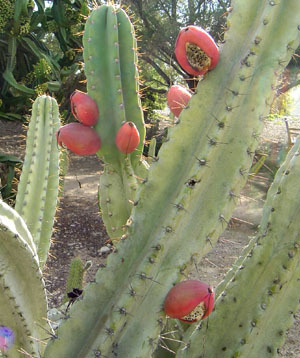 A lesser known apple cactus with large, red fruits having white pulp with a mildly sweet flavor. 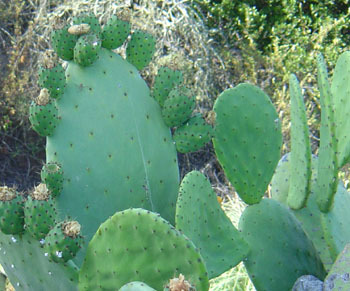 The fruits are similar to the more common apple cactus, Cereus repandus. Seeds are not available for the Pleated Cereus. Please visit our seed store to view current selections. Seeds were last available in January 2018. 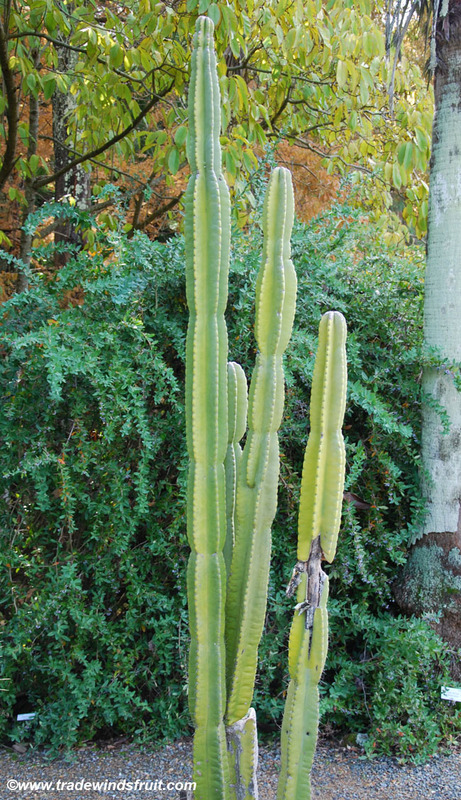 A tree-like cactus that can grow up to 30 feet tall. Has segmented stems from 4-6" across that occasionally branch. Features large, 10" white flowers that are followed by the red fruits. Hardy to mild frosts, probably briefly to around 27-29F, though its best protected from freezes. Grow in full sun. Needs minimal water once established. Not too particular about soil requirements. 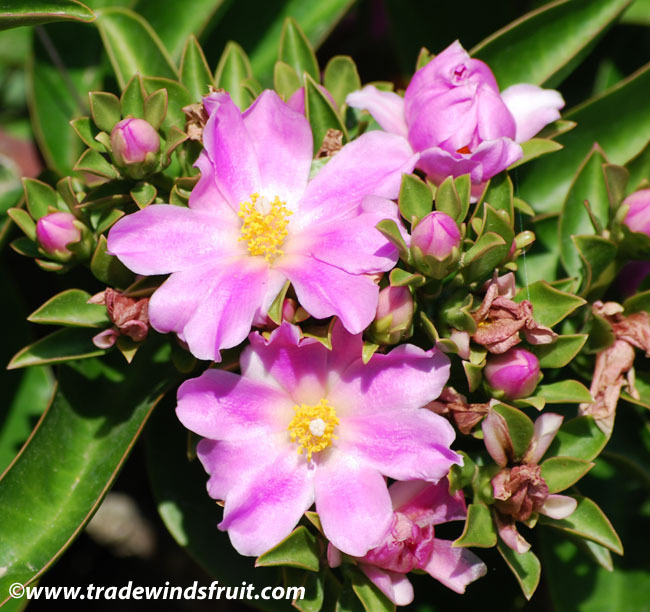 Great as an ornamental for the arid garden. The fruits are useful as well, though the species is somewhat uncommon in cultivation.